As part of your New Year’s resolution for 2014 it may be worth thinking about being more security conscious when it comes to the security of your home. 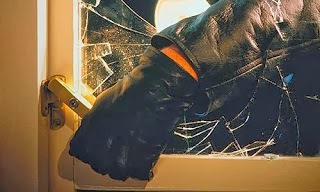 When considering how you may want to upgrade the security of your home it is always a good idea to think like a potential intruder. 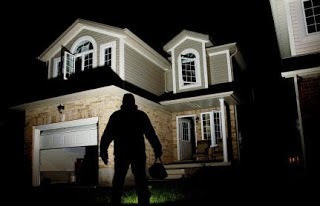 The majority of intruders will look for the best opportunity to break into a property, some will even scope out a property prior to breaking in. Therefore it is important to think about how you can ensure that your property appears as if it is occupied at all times and that there isn’t anywhere external to your home anyone could hide i.e. high hedges or bins. Is it obvious when you're on holiday or away from the home? For example, are your curtains always shut or is there lots of unopened post? Is there a spare key that’s easily visible, or easy to find, such as underneath the plant pot or above the ledge on the door? Are the lights on or off all the time, making it look like you're away? Is accessing your house noisy for a burglar? For example, is there gravel? What equipment do you keep in your shed and garage? What is its value and can it be used to help someone break in? How many of us actually use additional security in our homes? According to figures by Which only 38% of Which members had extra locks fitted to their doors and 32% use a door chain. Spy-hole – Keep out any unwanted visitors! A spy-hole offers 180 degrees of vision allowing you to identify callers before opening the door. Hinge Bolts –Mortice fitted hinge bolts are designed primarily for outward opening hinged wooden doors. These offer added protection against forcing the door hinges and are automatically engaged when the door is closed. Mortice Bolts – These are suitable for side and back doors as well as French doors. These are fitted to the top and bottom of the door and the bolts are not visible from the outside. Letterbox guard/cage – These can be fitted to prevent ‘key fishing’ i.e. a burglar using props such as a coat hanger or fishing rod to hook keys on the inside of the door (Aviva). Security lights - Lights with sensors in the garden and front of your property will help to deter a burglar as they are more confident when working in the dark. Key Safe - A Key Safe is a secure box where you can safely and securely store your keys without having to hide them or to rely on a neighbour or family member to look after them. Leave a light on a timer on if when you are not at home as it will act as it will look like the home is occupied. Other products on the market such as ‘Fake TV’ also act as a good deterrent as these products make it look like someone is watching TV. Upgrade the locks on any garages or sheds and if there is a window fit a curtain to ensure a burglar cannot see what is inside. When having any additional security fitted to your home it is always a good idea to call an accredited locksmith. An accredited locksmith will be able to do a security and insurance compliance check on your home and they will be more than happy to upgrade your home security for your peace of mind in 2014. If you missed our ‘The 12 Security Tips of Christmas’ over the Holiday period then read them again here for further security advice and tips.